I think we need some antidote to the depths of derp we’ve seen (and on this blog picked over with all the horror that follows a good look at last night’s supper this morning) coming from the Syrians Are Coming brigade of bed-wetters. So, instead, let’s take a look at someone who used their media smarts for good — and, in doing so, helped forge the chain that led to the fact (glory be) that we have the president we do right now, serving as a bulwark against the stupid that would have toppled a lesser person. 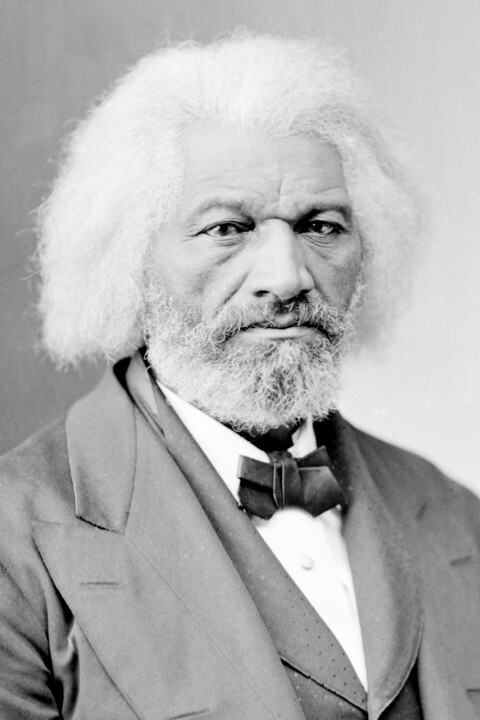 That’s Frederick Douglass, of course, in a shot taken in the 1860s. What was the special and exclusive of the rich and great is now the privilege of all. The humblest servant girl may now possess a picture of herself such as the wealth of kings could not purchase 50 years ago. Poets, prophets and reformers are all picture-makers–and this ability is the secret of their power and of their achievements. They see the what ought to be by the reflection of what is, and endeavor to remove the contradiction. 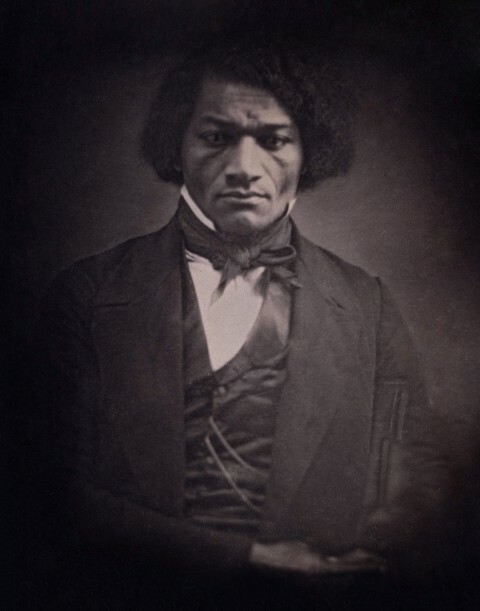 Such reasoning (and more besides) led Douglass to the photographer’s studio over and over again, actively seeking out the camera as a tool that could help him create the reality of African-American humanity, presence, significance. Photography allowed him to be seen. In that determined, asserted presence, you have (it seems to me) an early herald of of the circumstances in which Barack Obama could become president. 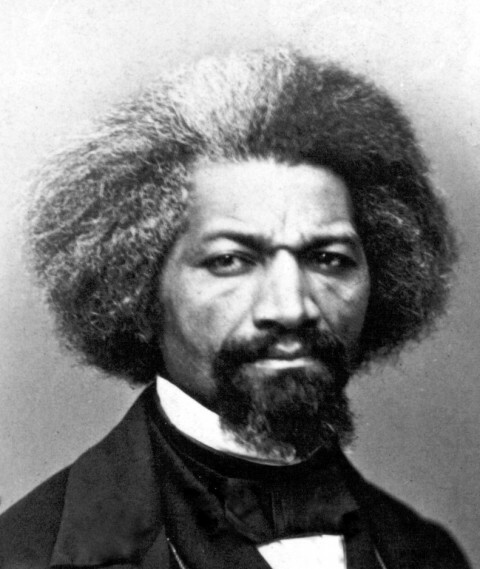 Alas, in the fact of the racist and vicious forces with which Douglass had to contend, we can be similarly reminded that in our times the sight of a black man commanding our gaze drives too many among us into spasms of demented, terribly dangerous rage. And if you feel the need for some open thread, well take that too. *The runners up are cool too: In the research for this book, the authors found George Armstrong Custer, that avatar of puffed-up vanity taking second place, with 155 portraits. Red Cloud came next at 128, followed by Whitman and Lincoln at 127 and 126, the poet and his captain connected again. It seems likely, according to these writers, that when further work is done, Ulysses S. Grant may trump them all, but that doesn’t change the point of what Douglass set out to do. 3. before 1880, Brady-Handy collection. This entry was posted on November 21, 2015 at 5:01 pm and is filed under Cool Images, History, Race, Republican knavery, Technology, Uncategorized. You can subscribe via RSS 2.0 feed to this post's comments.